Surat is one of the cleanest city of India and is also known by several other names like "THE SILK CITY", "THE DIAMOND CITY", "THE GREEN CITY", etc. It has the most vibrant present and an equally varied heritage of the past. It is the city where the British first landed in India. The Dutch and the Portuguese also established there business centers in Surat, the remnants of which are still preserved in the modern day Surat. In past this was a glorious port with ships of more than 84 countries anchored in its harbour at any time. 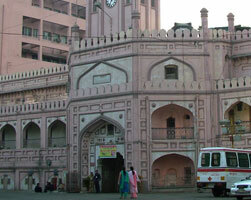 History The city of Surat has glorious history that dates back to 300 BC. Authorities Surat City Police, Income Tax Department, Sales Tax Offices,.. 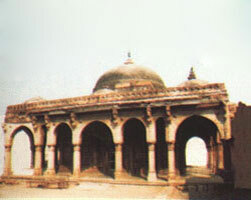 The city of Surat has glorious history that dates back to 300 BC. 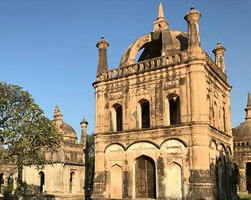 The origin of the city can be traced to the old Hindu town of Suryapur during 1500 – 1520 A.D., which was later colonised by the Brigus or the King from Sauvira on the banks of River Tapi. In 1759, The British rulers took its control from the Mughals till the beginning of the 20th century. 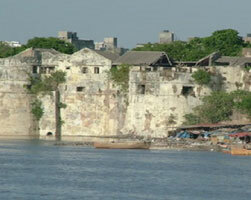 The city is located on the River Tapi and has about 6 km long coastal belt along the Arabian Sea. Due to these reasons, the city emerged as an important trade centre and enjoyed prosperity through sea trade in the 16th, 17th and 18th centuries.